The central concept of the course is the principle of "clarity." Clarity is everything. To perform at your very best and double your productivity, you must be absolutely clear about what it is you want to accomplish. You must then identify and pursue the very best way to go about achieving it. The Power of Clarity will show you how to do that and more. 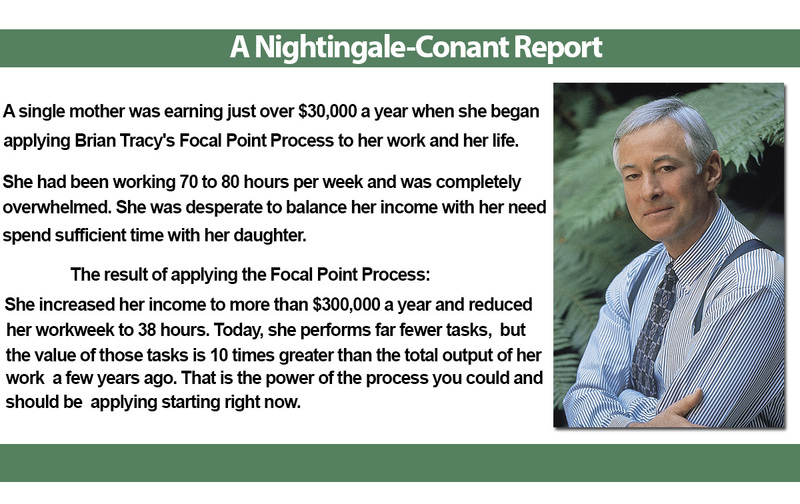 The results Brian Tracy's clients achieve from the systematic application of these strategies to their lives and work are often amazing. Participants in his programs, and others who apply these principles, report both rapid and increasing improvements in every area. They often double their incomes, reduce the number of hours they work each week, get control of their time and their lives, and dramatically improve the quality of their relationships with their families and other people. All great truths are simple. The power of this course is that it teaches you a series of timeless truths that have been discovered and rediscovered by effective, happy people throughout the ages. You learn a new way of thinking about yourself and your world. Especially, you learn how to answer the question, "What do I really want to do with my life?" With The Power of Clarity you'll discover the keys to doubling your income and doubling your time off. If you'd like more money and more time to enjoy it, this course will show you how to have both! The only real limits on what you can do or be are the limits you accept in your own mind. Henry Ford said, "If you believe you can do a thing or you believe you cannot, in either case, you are probably right." You have within you, right now, all the talents and abilities you could ever want or need to achieve any goal or dream you can set for yourself. The only question you ever have to ask is: "How badly do I want it?" P.S. It doesn’t matter where you’re coming from; all that matters is where you’re going. Never allow yourself to be slowed down or held back by events that have occurred in your past. Learn from them and let them go. Resolve to keep yourself focused on the future and where you are going. With The Power of Clarity there are no limits to what you can achieve in the months and years ahead. I want to discover the simple process that will enable me to earn more, achieve more, and be more… with minimal effort. 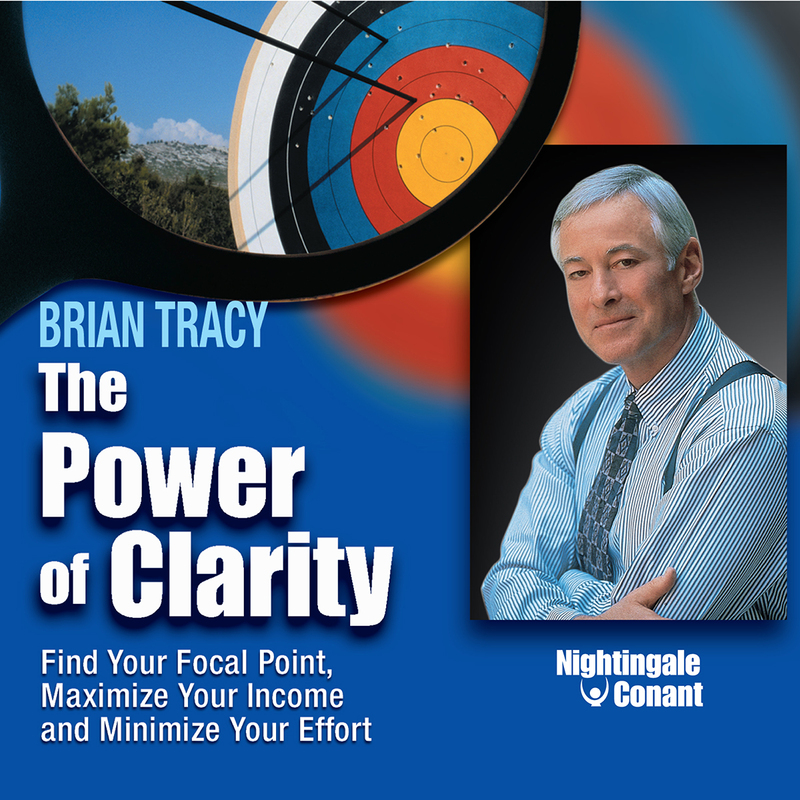 Please send me Brian Tracy's program The Power of Clarity, at the special price below. - I can select one of two ways of ordering.